Engine has low hours and its excellent condition-currently winterised. This has been a family boat and is a nice example, in very good condition throughout on a trailer. Provides a forward seat The standard fuel tank (87 L / 23 US Gal.) is located under the deck. It clears the deck for better passenger circulation. The gangway on the port side provides an easy access from the stern to the bow of the boat. 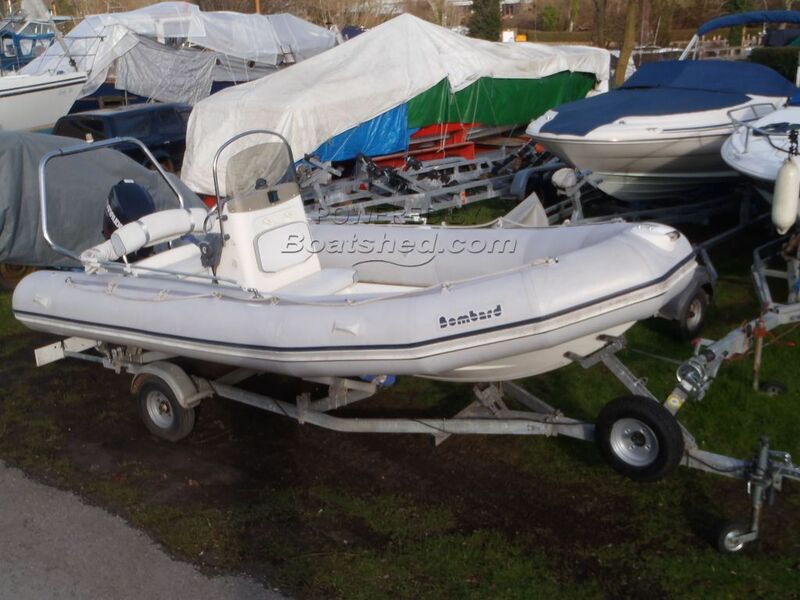 This Bombard Explorer SB 530 is really in excellent condition, and is Ideal for exploring the coast line, or as a tender to another boat.